The KIS Social Experience program aims to blend a comprehensive classroom teaching program with a variety of community oriented activities providing students with abundant opportunities for enriching personal growth, enhanced civic awareness, and a progressive global outlook in line with the KIS vision and mission. Classroom teaching focuses on “Thinking globally on issues of Economy, environment and society and Acting locally to bring about change in ourselves and our communities”. The emphasis is on sustainability and empowerment of individuals and societies. Students are encouraged to develop an approach of mutual and reciprocal interaction with the community. The Global UN Millennium development goals forms a framework for the weekday and weekend activities that include visits to the local orphanages, schools for interaction with local children, CSI Polio home, Visits to local conservation agencies, women and children help groups and undertake initiatives that develop the community from within and outside the school . The children focus on a proactive approach to issues that these communities face, to enable them to lead more empowered lives. Students are encouraged to take ownership and plan student initiatives with fund raising ventures and awareness campaigns for these projects. Activities include visits to the local orphanages where students play games with the little ones, read to them, do maintenance work and gardening. The green team focuses on environmental issues and is involved in tree planting, developing nurseries for seedlings from the indigenous “shola” forests, recycling and waste management. Food distribution teams distribute excess food from the school kitchen to the needy. Computer classes are conducted on a regular basis for students from local schools that lack computer facilities. The “English for Ayahs” program is involved in teaching English to the school’s support staff [ayahs, security personnel]. A very successful dining hall supervision program has resulted in a dramatic reduction in tray wastage. Visits to organic farms orient students towards alternative farming techniques and healthy eating. 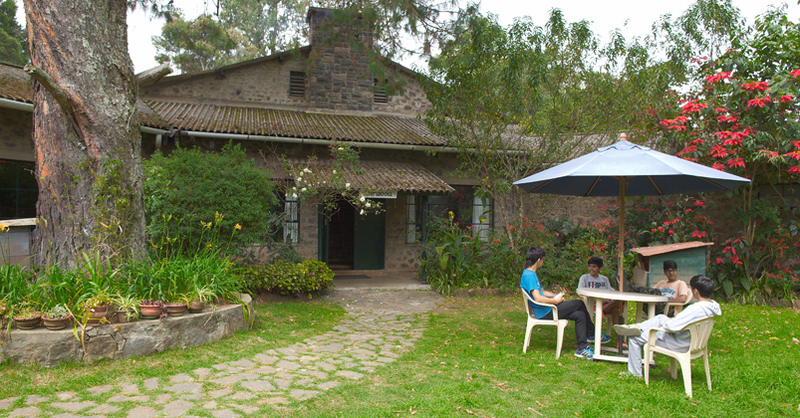 “Mercy Home”, a residence for the elderly destitute, is a popular weekend destination where students check blood pressure on residents, learn about their health problems, massage aching limbs, work in the kitchen garden, help collect firewood and do plumbing and other maintenance work. Students are encouraged to take ownership and plan fund raising ventures and campaigns for these projects. The creative aspect of community service is always encouraged through their individual IB CAS projects. Students are encouraged to take initiatives of action through Creativity, Action/Activity and service in diverse fields of interest. Students are assigned to teams and tasked with developing multi-media presentations on topics of interest. Students are encouraged to take initiatives of action through Creativity, Action/Activity and service in diverse fields of interest. This develops team building, communication skills, and leadership qualities and is of great value in nurturing interest in community service. 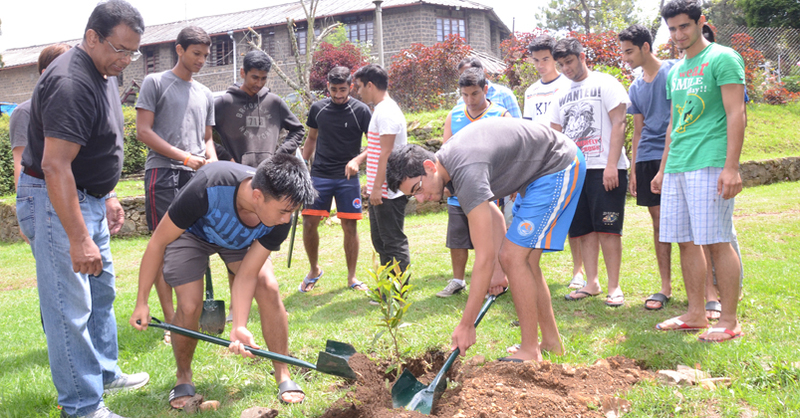 Students view the KIS social experience program as a refreshingly different subject and the majority involve themselves in the various activities to a far greater extent than is required of them. The social and environmental experience department also oversees and co-ordinates the annual field trip week when all students leave the school environs with staff chaperones to widespread destinations for a fun-filled week of social experience involving special needs schools, hospitals, rural health programs, wilderness excursions, drama programs, ancient ruins, endangered coral reefs, business and management tours, cultural tours, canoeing trips, building houses, spiritual retreats – the list goes on. KIS social experience seeks to walk with its’ students along the road to self-discovery, nurturing at every opportunity the immense potential that unfolds within them during their school years through the vast palette of community service and social interaction. KIS became a member of Green Schools Alliance (GSA), an association of some 5320 schools world-wide. Headquarters are in New York City, and there are member schools in 40 countries including about 20 in India. The program commits to a sustainable model for development in all its activities and aims to nurture students through experiences that empower them as model citizens. Solar panels have been installed to keep us in line with the huge push by Government of India to install 100 gigawatts of solar power and 75 GW of other alternative energy in the next few years. Solar water heating sets have also been installed providing hot water to many KIS dormitories as reducing water heating by geysers is an important part of school’s effort to reduce energy use. Regular Waste Audit of the school is conducted by professionals who work with KIS students to “reuse, recycle, reduce, and reject”. A Recycling Center is set up for school waste management. SoEEx classes, practical observations, and field trips are a rich background of varied environmental issues to induce student awareness, also to encourage reduced consumption and waste, besides information on academic and worldwide issues. KIS offers the IB Environment Systems course which includes study as well as practical and field observations and experiences about global warming, ocean rise and acidification, weather extremes, and species loss, besides United Nations’ and various countries’ policies and actions and various other things. Even students in Kindergarten and lower grades work on flower and vegetable gardens. Field trips are an important part of education in KIS. Each year students go for almost a week to some location of environmental importance.